Ornamental Fencing | Contact Hohulin Fence Today! Ornamental Aluminum Fence and Gates are available in a variety of configurations and heights. Posts, Gates, and Picket Sizes vary according to the application. There are many more color options available in the aluminum fencing. Gates are available in swing and slide options. 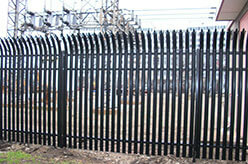 Ornamental Steel Fence is available is many different heights and configurations. 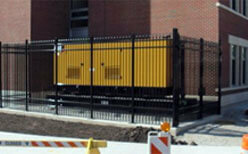 Post size, picket size and spacing, gates, and ornamental tops are available for specific applications. Gates, both swing and slide are available to match the fence design. Colors typically include Black and Bronze. Other colors are available upon request.